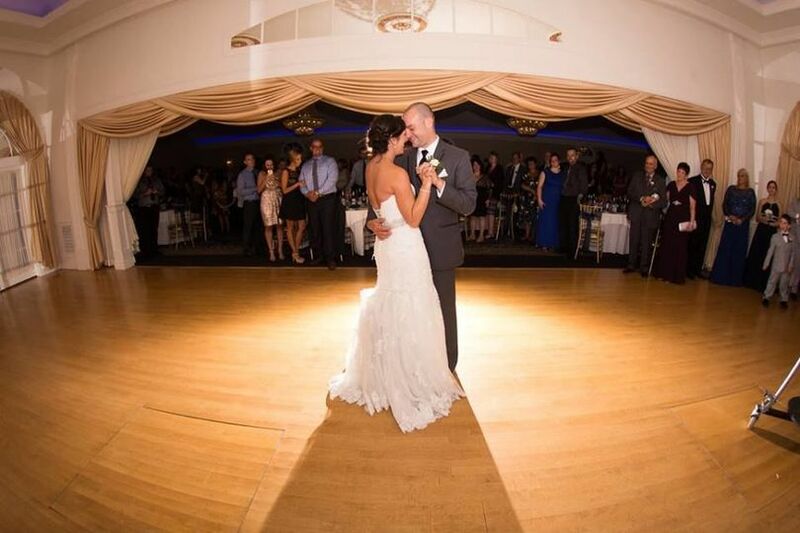 Tomasello Winery cordially invites you to create vintage memories in New Jersey's most luxurious winery ballroom. 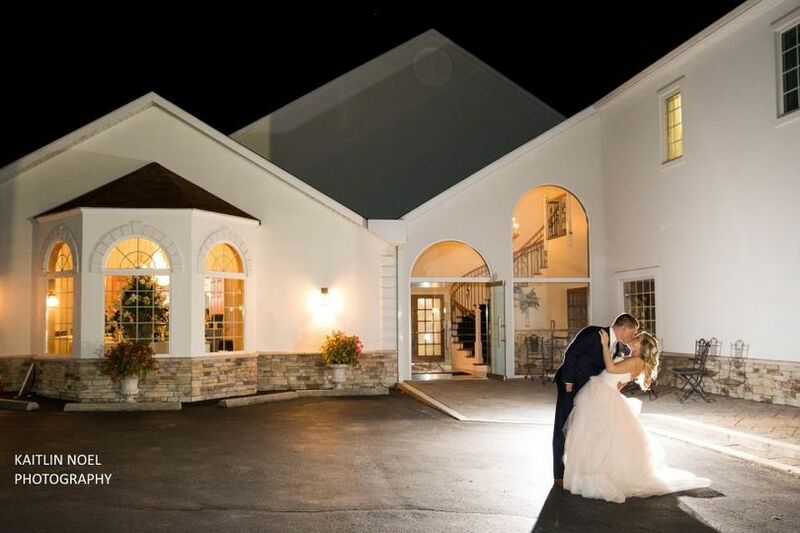 Located prominently on Route 30 North, our opulent decor is romantic with its crystal chandeliers, wall sconces and a beautiful foyer to welcome guests. 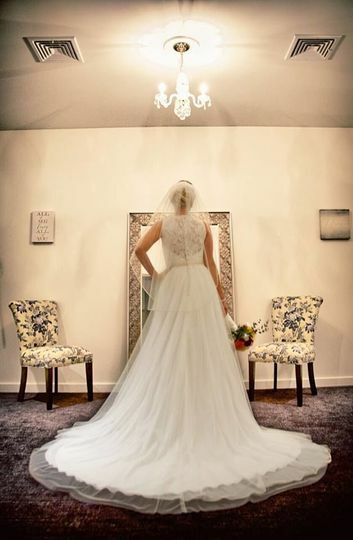 Our luxurious bridal suite allows you to prepare for the big day in comfort and privacy. 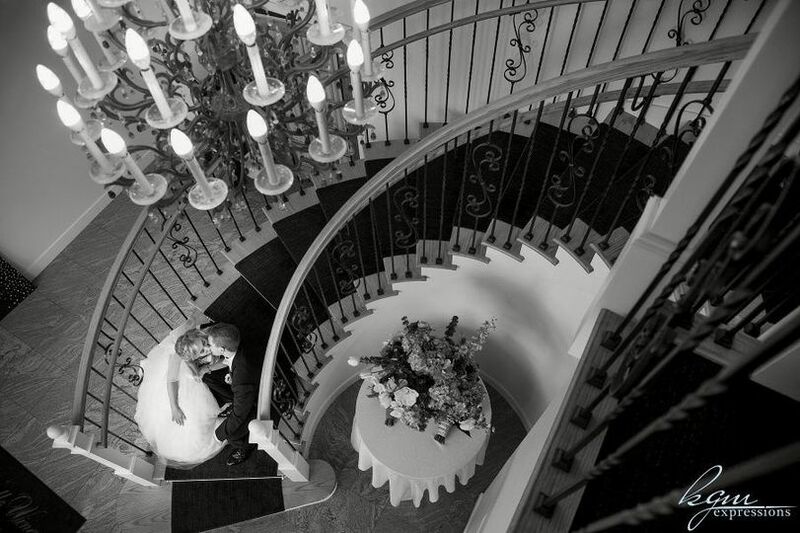 Our hand-crafted circular staircase is perfect for special wedding day photographs. 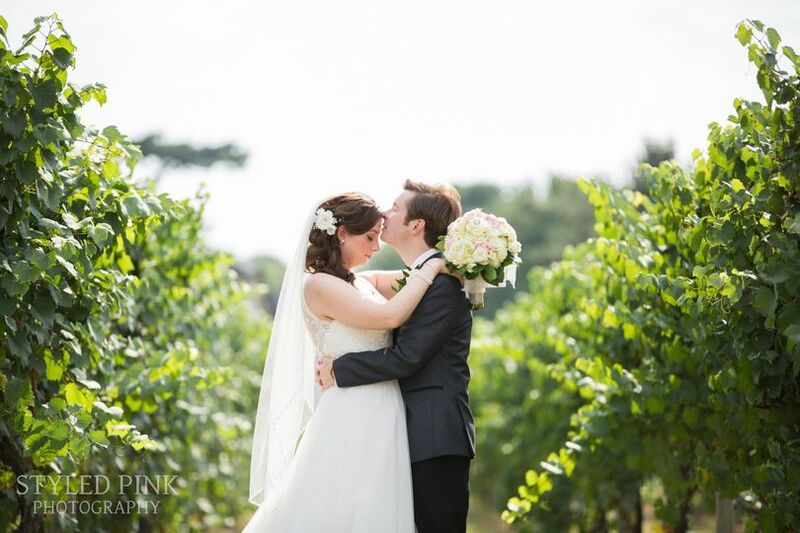 Exchange vows either in our picturesque Chardonnay Vineyard or our glimmering Crystal Ballroom. 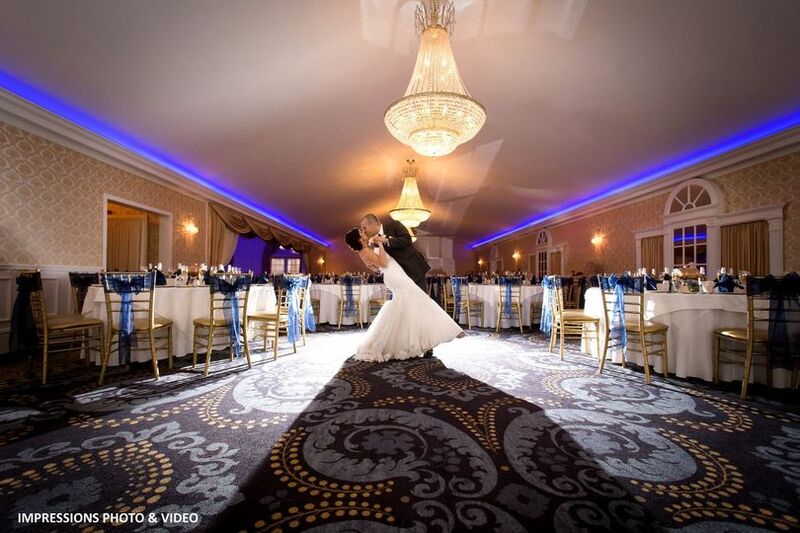 Then dance the night away in the Crystal Ballroom with customized lighting to match your theme and mood. 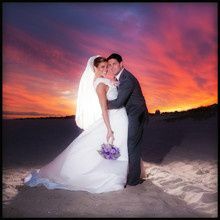 With only one event per day, we make your big day our top priority! We had the most amazing wedding! It rained all day long and they set up the outside ceremony anyway just incase we got a break in weather. We did get our break and they towel dried all the seats and had it done just in time to perform the ceremony. We had a mashed potato bar at cocktail hour and everyone just raved about how amazing it was! Also, still two weeks later we have people saying how amazing the food was- their steaks were cooked perfectly and everything was hot and fresh! We just had the perfect time! Also, everything from the wallpaper to the table dressings looked absolutely beautiful. We can't think of a more beautiful place to have our reception. 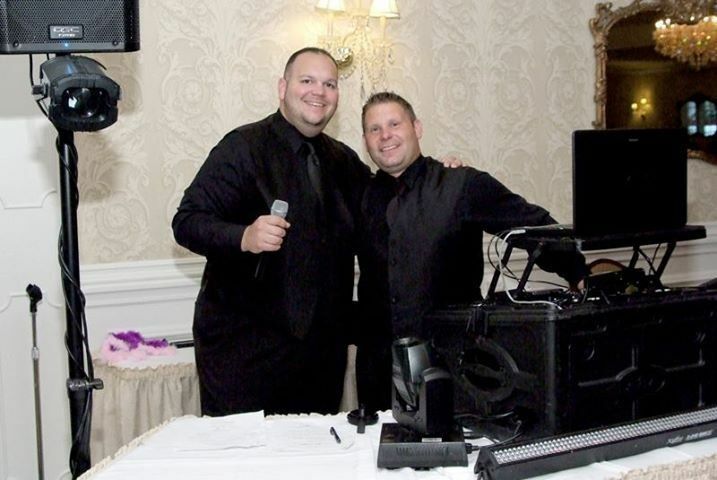 Everyone from Lisa, the banquet director, to the owners Mr. Charlie Tomasello and Mr. Jack Tomasello and Chris the event coordinator were JUST AMAZING!!!! Also Chef Pete was so awesome, he came out to make sure our food was what we had expected and up to par and to congratulate us! All the waitstaff and bartenders were super attentive and exceptionally sweet to our guests. That's not something that usually stands out a wedding but we had multiple people tell us how friendly and attentive the staff was, it made us feel really good!!! It was just such a great experience from beginning to end! They did everything we asked and they include SO much in the price per head! It was worth every penny! We would recommend this venue to EVERYONE!!!! We seriously can't say enough amazing things about Tomasello Winery! They made our special day perfect and we wouldn't have changed a thing! Thank you Tomasello Staff! My daughter Maggie's wedding was held this June 9th at Tomasello Winery. We received many compliments about the setting, food, wine and reception. Lisa and Stephanie were wonderful to work with and really listened to us and helped our vision come true. Many of our guest used the term "top shelf" to describe the wedding. 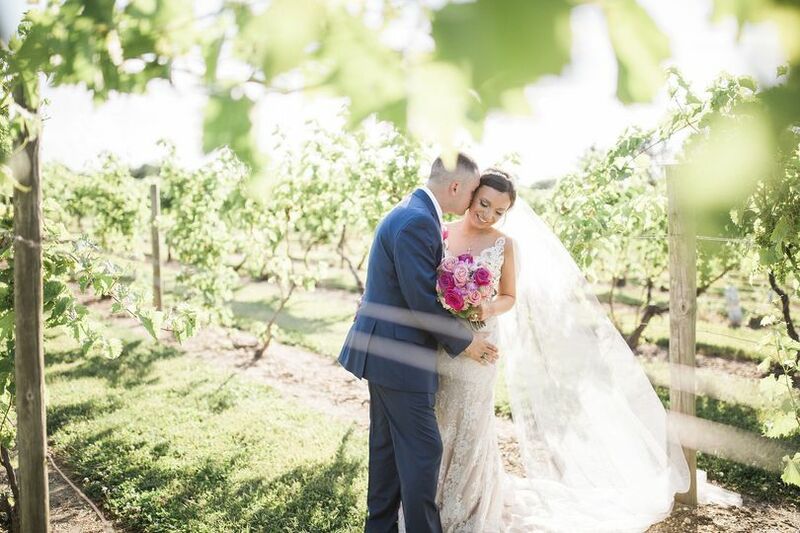 From the service in the vineyard, to the perfect cocktail hour, to the reception the father and mother of the bride describe it as simply magical. Thankyou for the absolutely perfect wedding and a lifetime of wonderful memories. Ahh...what can I say about Tomasello Winery! Let's begin with saying that we were 110% satisfied with EVERYTHING Tomasello Winery had to offer. From the staff (Lisa, Jack, Lisa, Angel, and Stephanie) to the vineyard, ballroom, food, decor, and wine, everyone and everything were outstanding!! 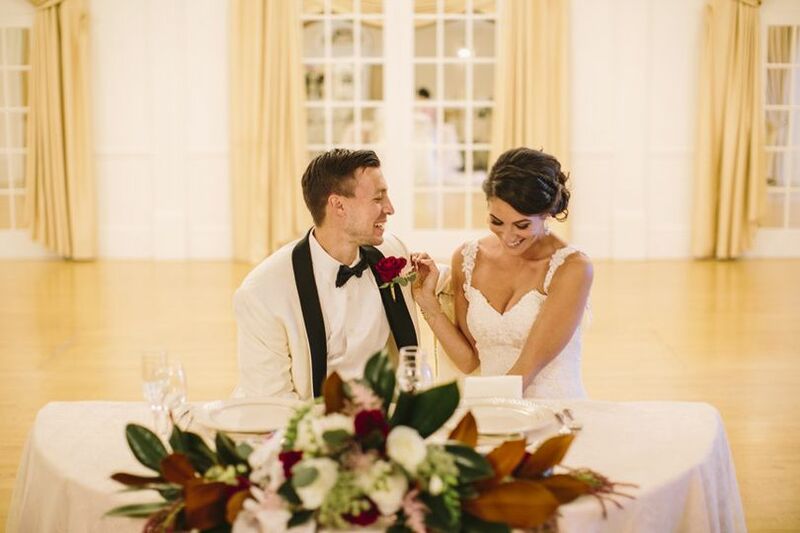 We booked our reception with Tomasello well over a year out from our wedding date. Every phone call, email, meeting, stop by, and final drop off were so profressional and pleasurable. We were able to pay our total in payments and Lisa was very accommodating to when we submitted the payments. When we were able to see the room before our guests were allowed in, I was in tears! I stood back and looked at all our hard work come to life. My guests could not stop giving me glowing reviews of how every part of the reception was perfect. 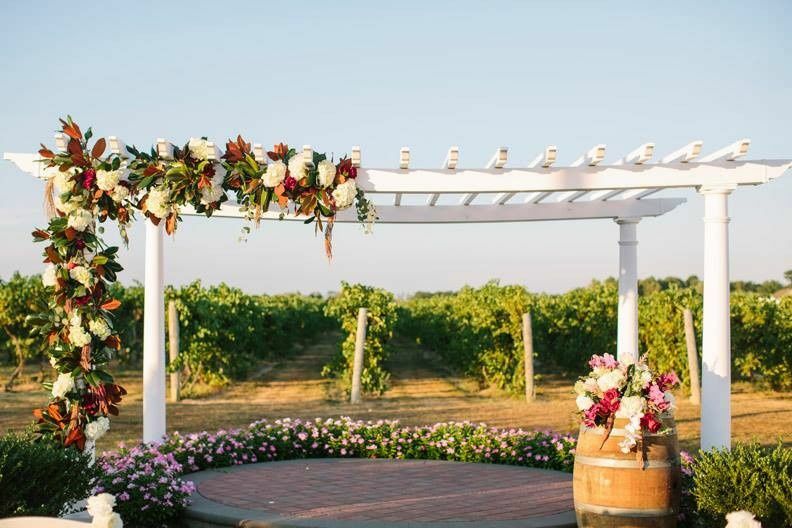 We were and still are highly satisfied with the remarkable job Tomasello Winery did with our wedding reception. A HUGE Thank You goes out to all the staff at Tomasello Winery for making our wedding reception above and beyond perfect!!! Outstanding venue ,Well recommended for your wedding , sweet 16 or any other event for that matter. 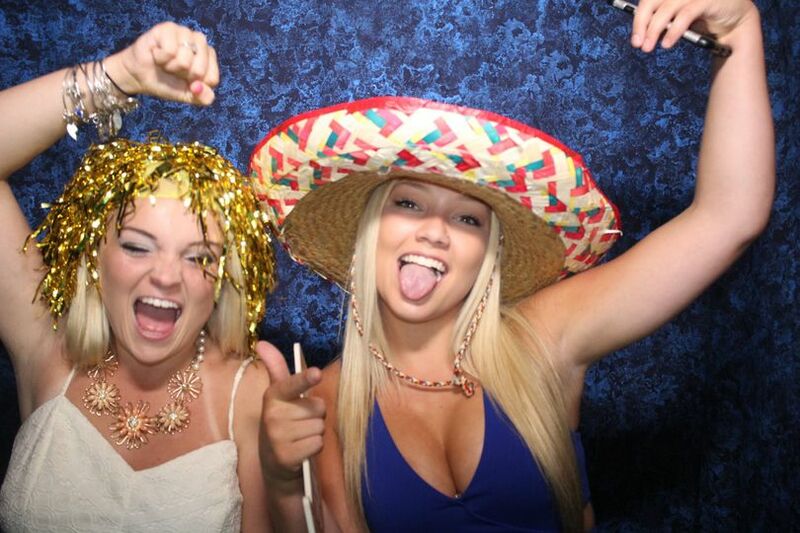 Their staff is one to brag about, as our family owned photo booth (smileflashprint.com) we are always looking forward to working with them because of their outstanding courtesy to their guest and vendors. A beautiful venue and wonderful staff!